Bored with your apps, looking for something new? Check out these 17 iPhone and iPad apps that were just released. 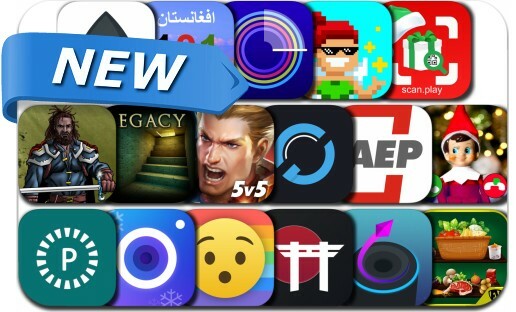 This new apps alert includes Arena of Valor, Inkwork, Space Spin - Play Now, Rainbrow, Legacy 2 - The Ancient Curse, Tathata Golf, Pixy - Color by Number, Roli Play, Foundation of Nightmares, Cinegraph - Living Photos and many others.